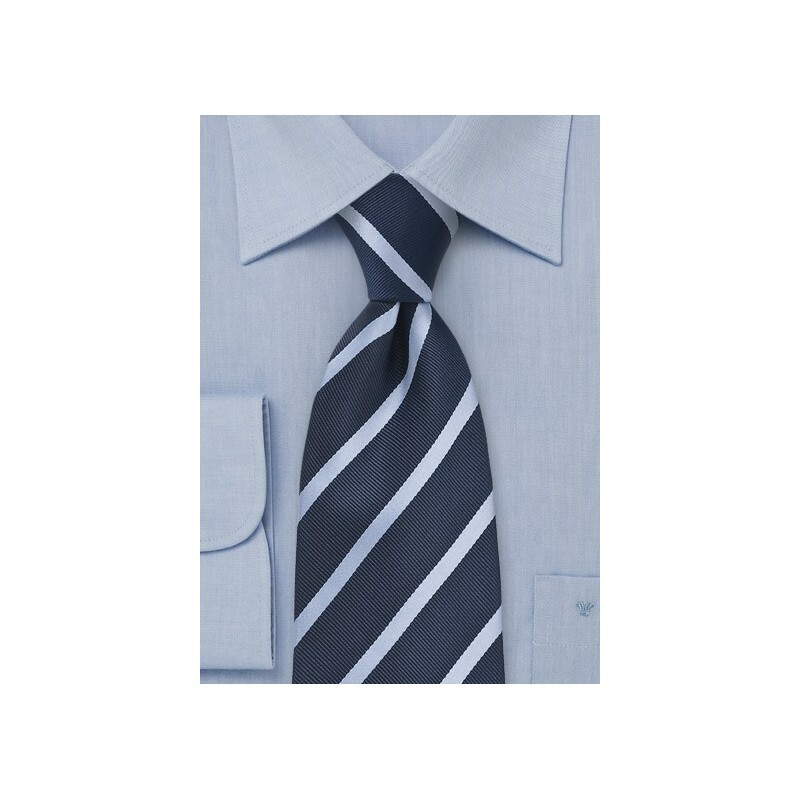 Get inspired by a classic palette of breathtaking blues with this handsome and intelligently designed striped necktie in navy blue and light blue. The two shades of complimentary blues pair well with both dark and light toned suits and neutrals. We love to see this All-American striped tie teamed with a white and blue gingham patterned dress shirt, a slim cut light grey suit and a navy blue handkerchief. 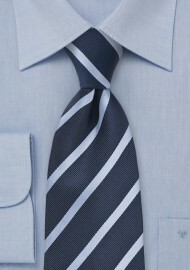 This masculine tie is made from a durable micro-fiber that resists stains and winkles.